Kei ngā manawa tītī o te motu, naia a Aoraki e mihi ana. E tangi kau tou ana ki a rātou ngā kuku o te manawa kua mene atu rā ki tua o te tatau pounamu. Koutou ngā mate, haere, haere, e okī e. Rātou ki a rātou, tātou te hunga ora kī a tātou, tēnā rā tātou katoa. Welcome to our first Manawa Kāi Tahu report. 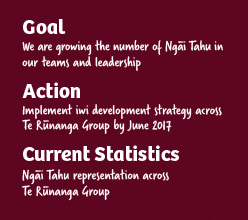 On behalf of Ngāi Tahu, I am pleased to introduce this report, which details how Te Rūnanga Group aspires to live and breathe Ngāi Tahu values throughout its operations. The Ngāi Tahu values form the framework for Manawa Kāi Tahu. Aspects of Ngāi Tahu culture and life evolve and change, however our values hold strong, forming the basis of Ngāi Tahutanga, helping us to make the right decisions, now and for future generations. This report is unique to our iwi and details how Te Rūnanga Group (our commercial entities and the Office of Te Rūnanga) is focused on our cultural, social, environmental and economic performance through our values and our behaviours. I hope that it will resonate with Ngāi Tahu whānui, kaimahi, our commercial entities, customers, partners and others. From Hawaiki and the journey across the ocean to a new home in Te Waipounamu; from Matiaha Tiramōrehu in the 1800s and through seven generations until the settlement of Te Kerēme in 1998, we are an iwi in transition. Since Te Kerēme, we have been striving to build a strong economic base. We aspire to do that by demonstrating our values in everything we do. Being sustainable simply means being true to our values and thinking of the world we leave for future generations. We need to be proactive and courageous. We need to be ourselves. Sometimes we get things right, sometimes we need to learn and try again. But it is a journey and it is up to us to lead the way – to be transparent and accountable to whānau first and foremost. In shaping this report, we held eight regional hui and listened to whānau as they considered the direction of our sustainability journey as an iwi. We also listened to our kaimahi (staff) and our partners in determining what issues this report should focus on. Manawa Kāi Tahu is a journey in itself. We believe we are on the right path but we acknowledge there is a long way to go with challenges to meet along the way. This report covers our financial year to 30 June 2016 (FY2016) – it is a start. We have started creating some targets and actions and these will evolve as our journey continues. For details of the programmes delivered by the Office of Te Rūnanga please refer to our online Annual Report. We look forward to a prosperous future for our rangatahi and mokopuna. The whakataukī ‘Mō tātou, ā, mō kā uri ā muri ake nei’, ‘For us and our children after us’, guides us in our mahi, in everything that we do. He manawa tahi, he manawa ora, he manawa toa, te manawa Kāi Tahu. A united heart, a vibrant heart, a determined heart, this is the heart of Kāi Tahu. Our journey to date has not been without its twists and turns. Our people over the ages have shown themselves to be visionary, innovative, courageous and resilient. As we continue our journey it is important to acknowledge those who have helped navigate the waka bringing us to where we are today. 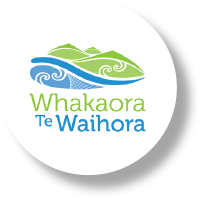 Te Kaitiakitanga me te Tāhuhu – Governance and operations – developing strategies and developing systems and processes to support the Group. Ngāi Tahu Capital’s investment portfolio includes our long standing investment in Ryman Healthcare, along with direct investments in Go Bus, Watson & Son (mānuka honey), Hilton Haulage, Waikato Milking Systems and Whale Watch Kaikōura. Ngāi Tahu Farming manages three high country stations near Lake Whakatipu, large scale farms on the Canterbury Plains and forests on the West Coast. We produce timber, milk, meat and other primary products which are sold to local processors for export around the world. 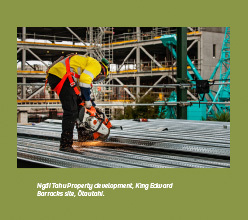 Ngāi Tahu Property develops residential subdivisions, commercial, retail and industrial property, with current development in both Christchurch and Auckland. We also manage an investment portfolio made up of Crown, retail and commercial tenants in Christchurch, Queenstown and Dunedin. Ngāi Tahu Tourism provides 20 experiences across our nine businesses throughout Aotearoa. These include Shotover Jet, Guided Walks New Zealand, Dart River, Franz Josef Glacier Guides, Glacier Hot Pools, Huka Falls Jet, Agrodome, Rainbow Springs and Glacier Southern Lakes Helicopters. 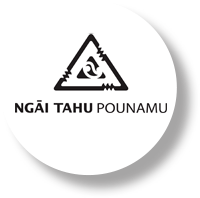 Ngāi Tahu Seafood supplies high quality seafood to international and domestic markets under our TAHU brand. Key species include kōura(crayfish), pāua (abalone), rāwaru (blue cod), tio (Bluff oysters) and kūtai (Greenshell TM mussels). We also hold and manage fishing quota in other species. The six Ngāi Tahu values form the framework for Manawa Kāi Tahu. We engaged with iwi members through a series of regional hui, and with kaimahi and our partners to hear their thoughts on our sustainability journey and the issues we face. 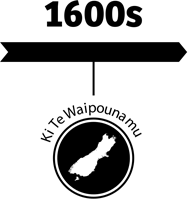 The sixteen top issues are reflected in this framework. 0ur first report focuses on the ten underlined issues. We will address the remaining six issues in future reports. Supporting and growing our whānau to enable them to be their best. 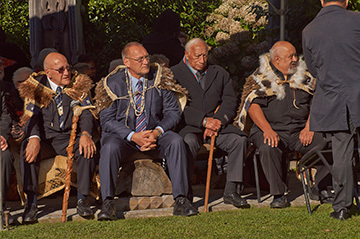 To deliver on iwi aspirations and the ongoing success of Te Rūnanga Group, we need to a ract and retain the best people – people who operate in line with our values and believe in our kaupapa. When we refer to our whānau we include all those that Te Rūnanga has a responsibility for including iwi members and all our kaimahi (staff) and directors. We are commi ed to the ongoing development of all our kaimahi and directors including creating development pathways and opportunities for iwi members. A key part of this is encouraging high numbers of Ngāi Tahu within our businesses at all levels. Success for us would see an increasing number of Ngāi Tahu in governance and leadership positions within the organisation. Living off the land has always been part of our Ngāi Tahu story. Ngāi Tahu Farming continues this story, and seeks to farm in a way which sustains both our lands and our waters. To achieve this, we need our farms to be run by highly-skilled kaimahi, who uphold our Ngāi Tahu values. 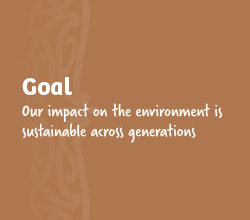 Whenua Kura was established to support this goal. It is a Ngāi Tahu-led partnership between Te Tapuae o Rehua, Lincoln University and Ngāi Tahu Farming, aimed at growing Māori leadership in agriculture. Manawhenua provide cultural guidance to ensure students are culturally safe and operating within a healthy environment. Traditionally tohunga were expert practitioners in a particular skill or area, including those who provided spiritual guidance. They gave direction to others and helped to foster new talent. This value encourages us to seek education and develop our skills and capability in the pursuit of excellence while supporting the development of others. Whenua Kura provides pathways for Māori to gain an internationally recognised tertiary qualification and employment on our Ngāi Tahu farms, or within the wider agricultural sector. Students learn from experienced educators through hands-on training, while working with leading technology on our farms at Te Whenua Hōu, Balmoral and Whakatipu. Whenua Kura includes a strong focus on Ngāi Tahu values particularly kaitiakitanga, and students learn how to apply these values in a practical way. Our tutors and kaimahi work together to create a whānau-friendly environment that supports students through training, work placements and employment opportunities. Ongoing support is available to people throughout their careers. Key to the delivery of this programme is establishing support for our students and the rural communities they are working within. 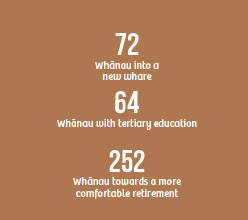 Since starting in 2014, 46 Ngāi Tahu have taken part in Whenua Kura, in addition to 45 participants from other iwi. We are proud that 50% of all graduates from the programme to date have been hired in some capacity within Ngāi Tahu Farming. Upholding the mana of people in all we do, empowering ourselves and those around us and leading by example. We are focusing on strengthening our governance and leadership, and creating pathways to grow successive generations of future leaders across all levels of the iwi. A current initiative is focused on Values in Action across Te Rūnanga Group and growing understanding of the behaviours aligned with our values. Growing strong leaders to support tribal aspirations within the organisation, within our Papatipu Rūnanga and at the whānau level is essential for the vibrant future of our whānau. 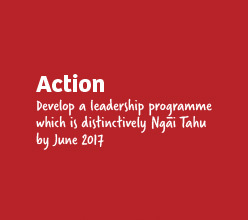 We are investing in a suite of programmes to grow leadership capability within our whānau. Two programmes which foster emerging leaders include Manawa Nui and Manawa Tītī. Manawa Nui is aimed at developing talented Ngāi Tahu governors with specific knowledge of the iwi and strong commercial skills to support the aspirations within our Holdings Group. Manawa Tītī is for emerging tribal leaders to gain critical institutional knowledge of key issues within the tribe, and to enable them to develop relationships with peers. One programme specifically targets Te Rūnanga governors and helps them further develop their leadership skills. 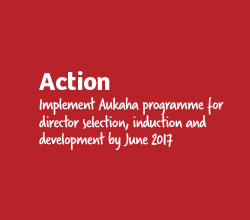 To get the best commercial directors, we have developed Aukaha, a programme which defines the skills and Ngāi Tahu knowledge that our directors need to best deliver on iwi aspirations and supports their ongoing development. Rangatira traditionally were those people who were able to rally and motivate people to achieve their goals – kia ranga i ngā tira. Rangatiratanga talks to the ability of our whānau, communities and hapū to pursue their aspirations. A key to us achieving this today is through enhancing the mana of others in the work we do, and in how we act and behave. Supporting rangatiratanga drives us to build the confidence of our whānau, to motivate them and support their respective journeys and give them a hand up to maximise their strengths and skills. It also means being role model leaders, protecting and enhancing our rights and interests and positively contributing to our collective tribal mana and reputation. Matiaha Tiramōrehu was a Ngāi Tahu chief descended from the hapū of Ngāi Tūāhuriri near Kaiapoi. 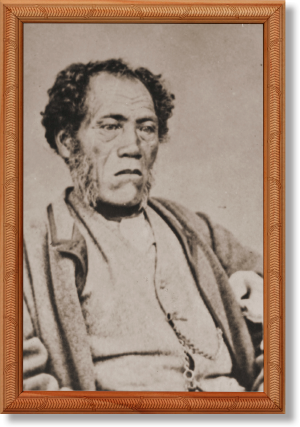 Tiramōrehu is credited with first bringing the Ngāi Tahu claims to public and official notice in 1849. In 1857 Tiramōrehu wrote a petition to Queen Victoria that was signed by all the leading Ngāi Tahu chiefs of the time. The petition asked that the Crown set aside adequate reserves of land for the iwi, as agreed to under the terms of its land purchases. Over the ensuing seven generations, Ngāi Tahu continued to seek redress from the Crown, tirelessly pursuing the vision of Tiramōrehu. Eventually Te Kerēme (the Ngāi Tahu Claim) was concluded with the signing of the Ngāi Tahu Settlement Act in 1998. Image credit: Ref: PAColl-5800-37, Alexander Turnbull Library. We seek to enhance the mana of others in the work we do and in how we act and behave. Building the confidence of our whānau, motivating and supporting their respective journeys and giving them a hand-up to maximise their strengths and skills to realise their own dreams is, for us, an indicator of our success. Papatipu Rūnanga exercise rangatiratanga in their local area. Te Rūnanga o Ngāi Tahu provides funding and support where needed which could be environmental, IT, legal, educational or cultural. The Papatipu Rūnanga Aspirations Group (PRAG) is a process where our Rūnanga share with Te Rūnanga what issues or areas they would like to focus on in the immediate future. Plans and targets are then developed to help further these aspirations alongside Papatipu Rūnanga. This requires us to have strong relationships built on trust, which are fundamentally collaborative and championed by strong values-based leaders. We have also established a dedicated Tribal Economies team to support whānau-centred enterprise. 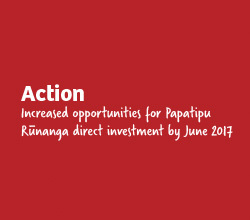 Finding pathways to support Papatipu Rūnanga with their economic self-determination is a priority area for the entire Te Rūnanga Group. Highlights over the past 12 months include Te Haumi Whakamana, a Ngāi Tahu Property initiative which allows Papatipu Rūnanga to invest in the Crown Investment Property Portfolio which includes six buildings with long-term government tenants. 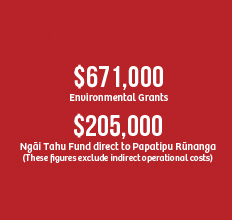 Last ten Papatipu Rūnanga invested a total of $2.7 million, with a return of 7% before property revaluations. Additionally Ngāi Tahu Holdings is leveraging its capacity and will guarantee a bank loan of up to $1 million for each Papatipu Rūnanga, to support rūnanga investment to achieve aspirations and regional wealth creation. 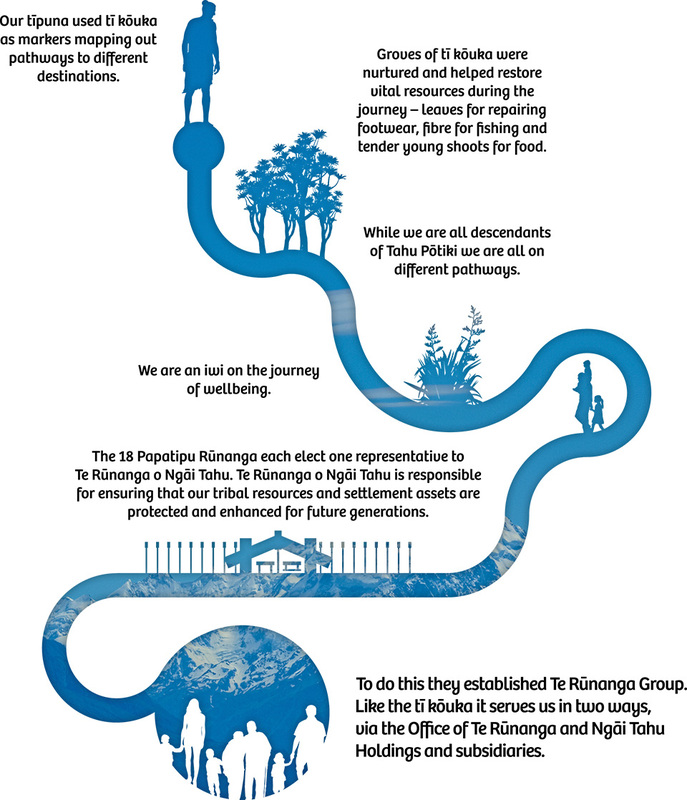 The journey of Ngāi Tahu Pounamu is an example of the Office supporting the economic development of Papatipu Rūnanga, in this case primarily our two West Coast-based rūnanga.  Ngāi Tahu Pounamu, a Te Rūnanga-founded company, has been established to help manage our pounamu resource and gives a governance role to Papatipu Rūnanga involved in pounamu. 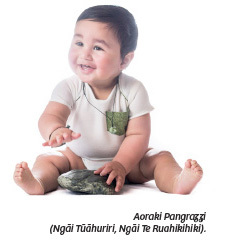 With the guidance of the Office of Te Rūnanga, the Ngāi Tahu Pounamu brand has grown from modest roots and includes a stone authentication system. 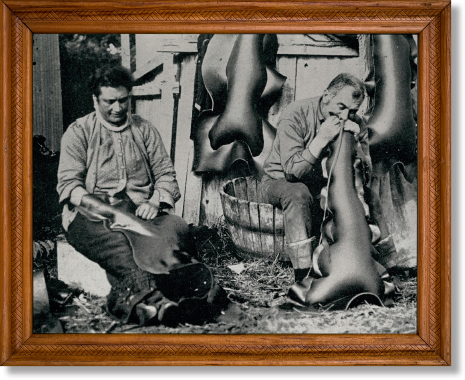 The online system was developed to protect the stone and the people’s rights from poachers, and to limit retailer’s abilities to market foreign jade as South Island pounamu. It also provides buyers with a whakapapa (origin) for their own unique pieces and increases the value of this tribal taonga. Tuna (eel) cross the shingle bar between Wairewa and the Pacific Ocean at Poranui in autumn when they are caught, processed and stored for eating later. Living on our whenua and feeding our whānau and communities with our mahinga kai is part of our history and identity and is a key component to our self-determination. 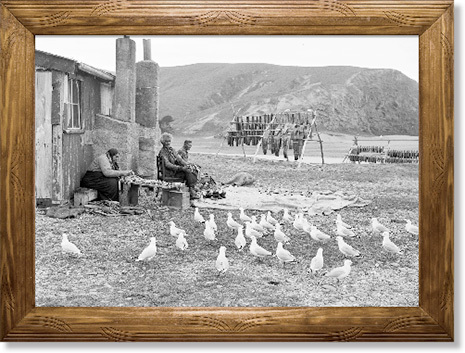 This traditional harvest has been undertaken for generations and proudly continues today. Left to Right: Hana Hipi (Mrs Nutira), Hoani Te Kou Nutira and Tiemi Whaitiri preparing tuna, a traditional mahinga kai, at Poranui (Birdlings Flat) in May 1948. We descend from Papatūānuku, the land and Rakinui, the sky. The natural elements and their inhabitants are our kin and central to our identity and wellbeing as Ngāi Tahu. 0ur tīpuna depended on our natural resources for survival. Kaitiakitanga is based on the premise that these resources are not ours, they are only ours to care for and hand on. This guides us to be deliberate and active in how we nurture, protect and use well, those resources available to us today – this includes human, fiscal, natural, man-made and those other resources that are important to us – to ensure that they are accessible to the generations after us. Mahinga kai practices, natural resources and food gathering places remain critical to our tribal culture. Scientists know that the activities of people are accelerating the rate of climate change, particularly through emissions of greenhouse gases. With our intergenerational focus, our communities and our businesses will not be exempt from the expected long-term impacts of climate change. We see this already in Ngāi Tahu Tourism with the retreating of Kā Roimata o Hine Hukatere (Franz Josef Glacier) and lower river levels affecting our jet boat and guiding operations. In Canterbury we are facing a 50-year drought which brings uncertainty around the availability of water to irrigate our farms. 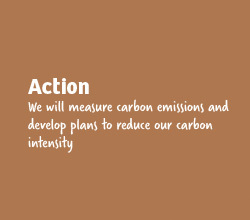 Te Rūnanga Group is developing a climate change strategy and we are in the process of measuring our carbon footprint. We are working with NIWA, and our GIS mapping team so Papatipu Rūnanga can be informed about the implications of climate change and what it means for them on the ground. Ngāi Tahu whānui want to protect traditional fishing grounds right across the takiwā. Currently there are 148 Tangata Tiaki/Kaitiaki or flax roots guardians appointed to assist and authorise Ngāi Tahu whānui to exercise their fishing rights. Over five million customary sh have been harvested under the South Island regulations over the past eighteen years and there are now 122 customary fishing protection areas established around the takiwā (including 30 mātaitai and four taiāpure). Waimāori (freshwater) is an inseparable part of our whakapapa and identity and is fundamental to our survival. How we improve the quality and quantity of water, ensuring it is a safe source of mahinga kai and a resource for future generations, is a challenge we collectively face. With our involvement in dairy farms we have an added responsibility to implement leading environmental practices to mitigate our impacts on this taonga. Water is the life blood of farming on the Canterbury Plains. Our challenge is to respect this precious resource and use it wisely and efficiently. NIWA has been working with Ngāi Tahu Farming on a research trial to reduce water use, by using farm-specific weather forecast technology to determine when we irrigate the land. Initial results have been very promising, with the best performing farm leaving the irrigator switched o about 20% more often than other farms. By reducing the amount of electricity needed for pumping water, reducing the volume of water and fertiliser applied, we ensure we are efficiently managing our precious resources and saving money. 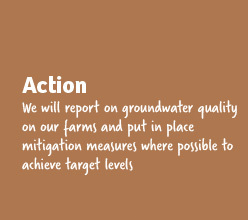 We hope to implement this across our farms over the next two-three years once the technology has been refined. The long-term sustainability of our kaimoana is a primary concern to the iwi. Ngāi Tahu Seafood supports and is actively involved in a variety of fisheries industry groups to ensure the principles of kaitiakitanga are paramount in the ongoing management of fisheries stock. 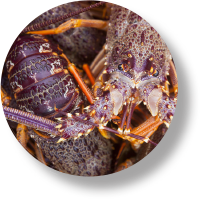 CRAMAC8 is a collective of crayfishers and quota owners, including Ngāi Tahu Seafood, operating in the southern region of New Zealand. In the 1990s there was an apparent decline in kōura (crayfish) in this region, prompting the establishment of this group to implement a plan to revive kōura numbers. These stakeholders implemented rules that reduced their catch by 36% to protect the stock. They caught 320 metric tons less kōura per year, equivalent to the weight of 160 cars. As a result, kōura stocks are now at sustainable levels, with a record 962 metric tons harvested per annum. CRAMAC8 and Ngāi Tahu Seafood are helping to protect the long-term viability of kōura and this fishery in the south. Rākaihautū excavated the great lakes of Te Waipounamu, and in doing so created Te Waihora, known as Te Kete Ika a Rākaihautū, his fish basket. Te Waihora/Lake Ellesmere has always been an important tribal taonga and major source of mahinga kai for the iwi. Today it is one of New Zealand’s most polluted lakes. Papatipu Rūnanga have an important kaitiakitanga role and have entered into Whakaora Te Waihora, partnership with Te Rūnanga, Environment Canterbury and others which aims to restore the health and vitality of the lake. At least two generations of united and targeted effort is needed to restore this great lake. This is in addition to more than 10 years of restoration work already undertaken by Papatipu Rūnanga, landowners, agencies and others around the lake. The clean-up of the lake will only work if we all pitch in. 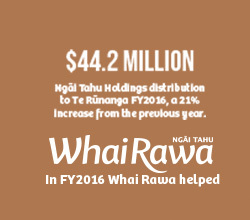 Since receiving a $170 million cash settlement in 1998 (combined with other assets already held by the iwi), Te Rūnanga o Ngāi Tahu has grown an asset base of over $1.5 billion. We own a wide range of businesses and investments and have recently entered into joint ventures with others including Waikato Tainui. 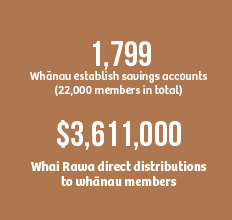 The money generated by our businesses is split between delivering programmes and initiatives for iwi members, funds distributed to whānau through initiatives like Whai Rawa, and reinvesting for future generations. To further contribute to iwi aspirations and wider societal goals, Ngāi Tahu Holdings is focused on integrating environmental, cultural and social factors in our commercial decision-making. Balancing positive financial returns with these other considerations and doing this in a manner consistent with our values, helps ensure that we are supporting intergenerational wealth across all areas. When choosing the types of businesses or areas that we invest in, a key consideration is ensuring they align with our values. In November 2015 we bought a 50% share in Watson & Son, a leading producer of premium mānuka honey, and a related company MānukaMed, which develops advanced wound care products using the unique healing qualities of mānuka honey. 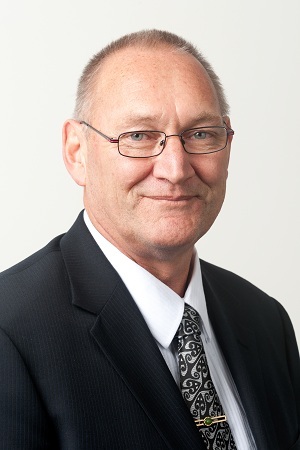 Watson & Son is a family business founded by Denis Watson (Ngāti Kahungunu) and his wife Meryl, and our joint venture with them is aligned with our philosophy of long-term alliances and investments. We will work with the Watsons to further develop the company’s export potential, and to advance the application of mānuka honey in medical products. As Watson & Son looks to expand its Wairarapa-based operations into our takiwā, it will potentially provide opportunities for our whānau to participate in the honey industry. It is exciting to think that we are investors in Māori-owned business which aims to make people’s lives be er through the use of a natural New Zealand product which has taonga properties and which could also provide avenues to support our aspirations for whānau and regional economic growth. 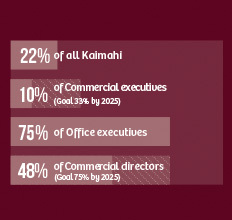 As kaitiaki, we strive to ensure each generation will have equal access to financial resources. 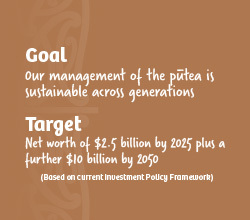 The Investment Policy Framework (IPF) is the intergenerational tool used by the iwi to support this value. The IPF is modelled on the approaches taken by the established long-term Harvard and Yale University Endowment Funds. It helps guide how we invest, what we invest in and to what degree we invest in different areas. 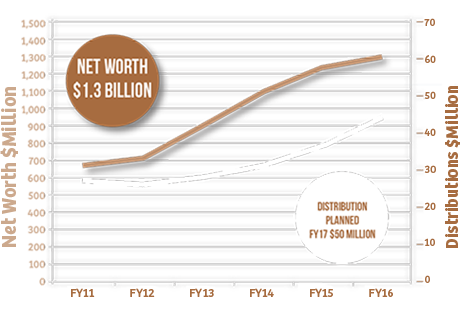 The IPF also determines the annual distribution from Ngāi Tahu Holdings to the Ngāi Tahu Charitable Trust. 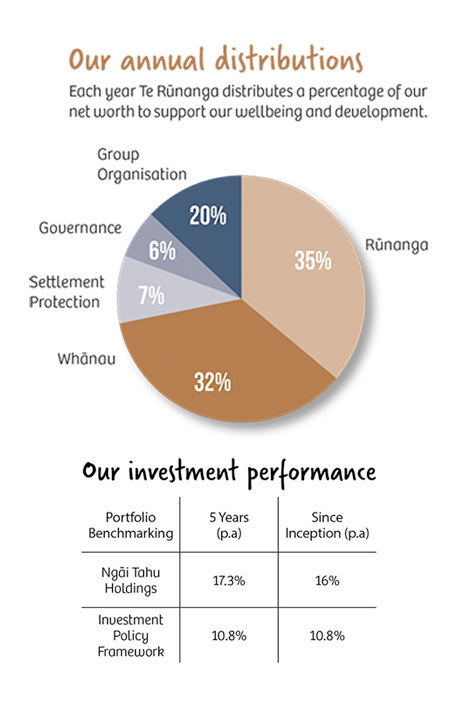 We practise kaitiakitanga by balancing commercial risk/ reward and the investment of today with the ongoing re-investment to support future generations. Our recent focus has been on diversifying our investments, with joint ventures in Go Bus, Hilton Haulage and Watson & Son. Integration of ethics into an organisation requires constant mindfulness, strong leadership and role modelling. How well we do this, speaks to our integrity and our authenticity. 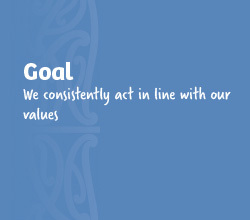 We have a programme around Values in Action to embed values more explicitly across Te Rūnanga Group into all that we do. Manawa Kāi Tahu is part of this, as is Aukaha, our director development programme, our revised quarterly reporting, Whatumanawa surveys and associated programmes of work. 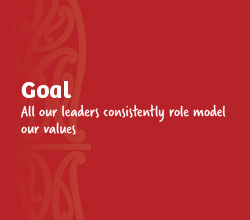 0n our marae tikanga provides the guidelines which dictate what we do and how we do it. Tikanga is essentially about doing things the right or ‘tika’ way. This means acting in a responsible and ethical manner in line with our values. It should in uence everything we do – our decision making, how and what we choose to invest in, what we participate in, our relationships and our interactions with each other. Tikanga also sits at the heart of Ngāi Tahutanga, our Ngāi Tahu identity and tells us that there is the expectation to do things the Ngāi Tahu way. 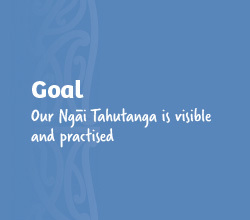 This value guides us to normalise Ngāi Tahu customs, protocols, cultural knowledge, practices and language throughout our day-to-day activities as an organisation. When visiting a Ngāi Tahu marae for the first time it is usual to experience a pōwhiri (formal welcome). The aim of this process is to bring both the hosts and manuhiri (guests) together as one group, as whānau. It serves to break down barriers, to identify the shared connections between the two, to acknowledge those from both sides that have been lost, and to set a platform to discuss and debate issues of the day. Te Rūnanga is committed to ensuring that our new kaimahi are welcomed in a similar manner and so have instigated across the Group ‘Mihi Whakatau’. These hui happen regularly throughout the year and formally welcome our kaimahi and their whānau, to the organisation, to the iwi, to become one with us. Supporting our new kaimahi to be comfortable and confident with our tikanga and making it normal and part of our day-to-day activities across the organisation reinforces our Ngāi Tahu identity and the revitalisation of our cultural practices and knowledge. 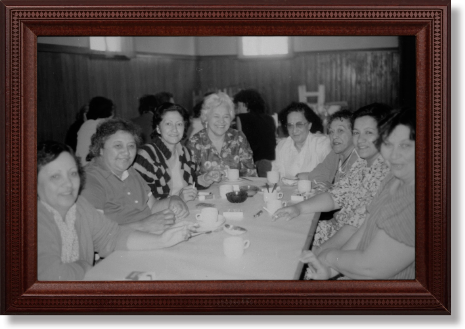 Left to right: Whitiora Materau Topia, Patricia Silk-Anglem, Te Aotukia Tau, Wharetutu Stirling, Annie Thompson, Rima Bell, Janet Reuben and Elaine Joy Hopkinson enjoying a cup of tea together at Tuahiwi Marae in November 1983. Image credit: 2013.P.662, Ngāi Tahu Archive. Ngāi Tahu culture and traditions help to define who we are and where we have come from as a people. Our whakapapa, language, tikanga (customs), our ways of life and our relationship with the land and sea are the building blocks of our identity as Ngāi Tahu. The protection and enhancement of this collective culture and heritage is a core priority for the future of the iwi. 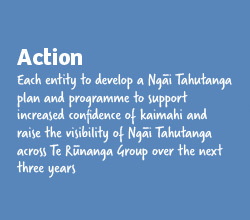 Ngāi Tahutanga guides our organisational decisions and underpins everything Te Rūnanga sets out to achieve. Upholding our customs and doing things the Ngāi Tahu way, in line with our values, is a unique enabler to us as an organisation; it is something that sets us apart from others. All of our governors and kaimahi need to rise to this responsibility to ensure that our cultural identity and expression shines. When Ngāi Tahu Tourism was established it was hoped that the business would provide an opportunity for us to host guests and tell Ngāi Tahu stories within our Ngāi Tahu landscape. Today Ngāi Tahu Tourism connects with more than one million manuhiri (visitors) a year and is proud of providing iconic and authentic experiences that impart a greater understanding of Ngāi Tahu culture. 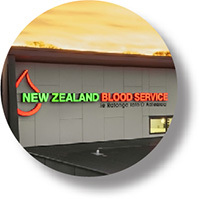 Our Ngāi Tahutanga provides a genuine point of difference to our customers. We aim to weave Ngāi Tahu stories through each experience and ensure the experiences are true to our tikanga and values. 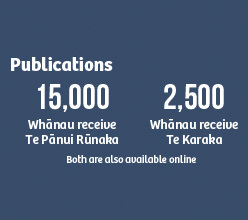 We have developed a range of programmes and resources to support our kaimahi to better understand these stories and their relevance to the iwi, and to increase their confidence with te reo and tikanga Māori. 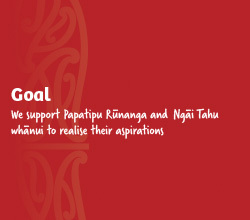 Coupled with this, we are continuing to grow our partnerships with Papatipu Rūnanga, as well as connecting with other Ngāi Tahu businesses to see how we can work be er together. The Hollyford Valley is an example of this, where strengthening our knowledge of Ngāi Tahutanga and building relationships with Te Rūnanga o Makaawhio has helped enhance the tourism experience we can offer. To provide food in times of scarcity, Ngāi Tahu developed a unique method of food preservation using bags called pōhā made from rimurapa (bull kelp). Today, some Ngāi Tahu families continue to make and use pōhā for the seasonal tītī (muttonbird) harvest. In this photo, a woman splits open a length of rimurapa while John Koporohu Bragg inflates an opened one. Tia, Tītī Island, Rakiura, 1910. Image credit: Neg. no.  E2981/10, Hocken Library, University of Otago. By breaking down the word manaaki we get clarity on its meaning. 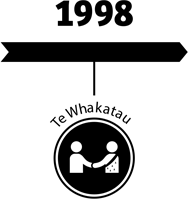 Mana can be described as the ability or power that an individual has. Aki means to uplift or encourage. How we treat others and respect and support them is inherent in this and extends to the wellbeing of our whānau, including our kaimahi and those who have an association with us. It is important to us that any manuhiri or guests to Te Whare o Te Waipounamu feel at home and enjoy how they are being hosted. Feedback from our manuhiri will help to give us guidance on how we can improve going forward and we are committed to upholding the mana of our guests in all ways possible. 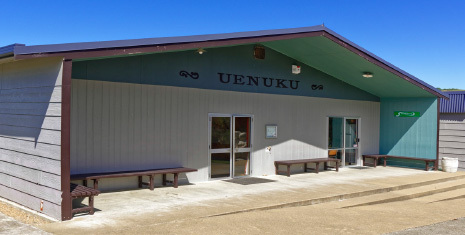 Manaakitanga is typically described as the hosting of guests, of being generous and hospitable. Hastings Tipa of Moeraki perhaps explains this expectation best, “Whākana i ō manuhiri ki tō kāika.” He implores us to never let our guests escape our gaze, to anticipate and meet their every need. Manaakitanga extends beyond our guests and includes those we are responsible for, including ourselves. In a Māori context how we undertake and prioritise manaakitanga at all levels is a key contributor to enhancing tribal mana. Studies tell us that when employees commit both their heart and mind to their work they are generally more motivated and productive. This concept is known as staff engagement, and has been shown to link to better operational, financial and stakeholder outcomes for organisations. 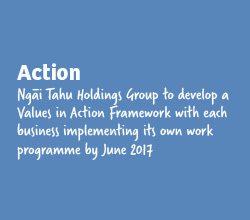 We strive to operate as an employer of choice, attracting and retaining staff to work with us to keep moving forward and enable outcomes for whānau. Research shows that the best employers create a work environment in which their staff are motivated and challenged, feel safe and secure, have a voice and feel that their contribution is valued. To help us understand how well we are doing in this space we initiated the Whatumanawa kaimahi engagement survey in 2015 across Te Rūnanga Group. Whatumanawa allows kaimahi to give feedback on the current work environment and voice their opinion on the areas they believe we can improve upon. 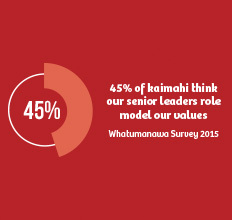 In 2015, the results showed that 61% of our kaimahi were “engaged” (a measure of job satisfaction and discretionary effort). Areas kaimahi believe we need to improve included leadership, communication, and diversity and inclusion. The Whatumanawa project involves employees working alongside managers to develop solutions and initiatives in response to any issues raised in the survey and to support our continual improvement. The survey is administered annually to help us gauge our progress. 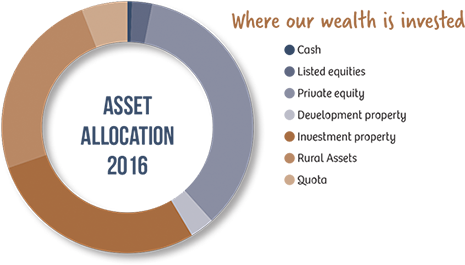 Whatumanawa scores included throughout this report reflect kaimahi perceptions across the following Group entities: Office of Te Rūnanga o Ngāi Tahu, Ngāi Tahu Holdings, Ngāi Tahu Farming, Ngāi Tahu Property and Ngāi Tahu Seafood. 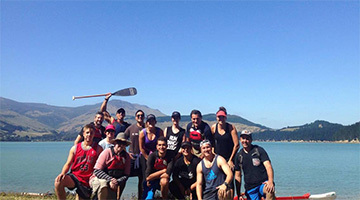 Ngāi Tahu Tourism run a comparable survey process for their kaimahi. Whatumanawa represents our commitment to supporting the overall wellbeing of our kaimahi and is an indicator of how well we are supporting the value of manaakitanga, caring for our people. The health, safety and wellbeing of our people, is a key area of focus for Te Rūnanga and all of our businesses. 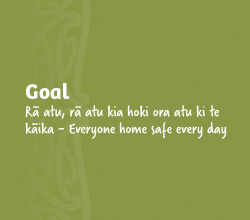 Our goal is Rā atu, rā atu kia hoki ora atu ki te kāika – Everyone home safe every day. We must make our workplaces safe and change our culture so that we each look out for our co-workers. We will do this by delivering targeted programmes to improve health and safety outcomes and supporting our kaimahi to take on this responsibility. This year, we were disappointed that the Group dropped a level to Secondary Status on the Accident Compensation Corporation (ACC) Workplace Safety Management Practices Scheme (excluding Ngāi Tahu Tourism, which has retained the highest status). This is because there was an incident which led to serious harm, where we failed to follow our processes and notify the appropriate authorities. We have learned from this and are strengthening our systems and processes to regain this accreditation when it is next evaluated in 2018. We will report next year on Health and Safety metrics, such as Total Recordable Injury Frequency Rate (TRIFR), across the entire Te Rūnanga Group, when we have a complete data set. From Bluff, the Hollyford Track and Te Whare o Te Waipounamu in Christchurch, to our farms and our North Island businesses, it is essential that we ensure the health and safety of our kaimahi, our manuhiri and customers. Because of the range of businesses we are involved in, and the geographic spread of our activities, this does not come without challenge. 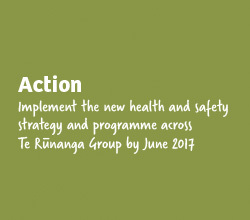 We have spent 12 months developing a consistent health and safety framework and strategy across Te Rūnanga Group which addresses recent changes in the Health and Safety legislation. An external health and safety advisor has been working with us to ensure we do this to the highest standard, while developing goals, measures and targets to improve health and safety across the Group. We already have a range of initiatives across the group that support this – such as our jet boat drivers having twice the minimum required hours of on- water training. Ngāi Tahu Farming has also initiated, and will host, the first Commercial Dairy Farm Health & Safety Forum with over 200 farms represented. To be successful as a family-owned business, to achieve the intergenerational aspirations of the iwi and ensure our collective wellbeing, we need input and contributions from as many iwi members as possible. We also need to nurture and maintain relationships with a wide range of other stakeholders to support us as we move forward. We have the challenge of having a huge and diverse tribal takiwā and 51% of our whānau are now living outside of this region. 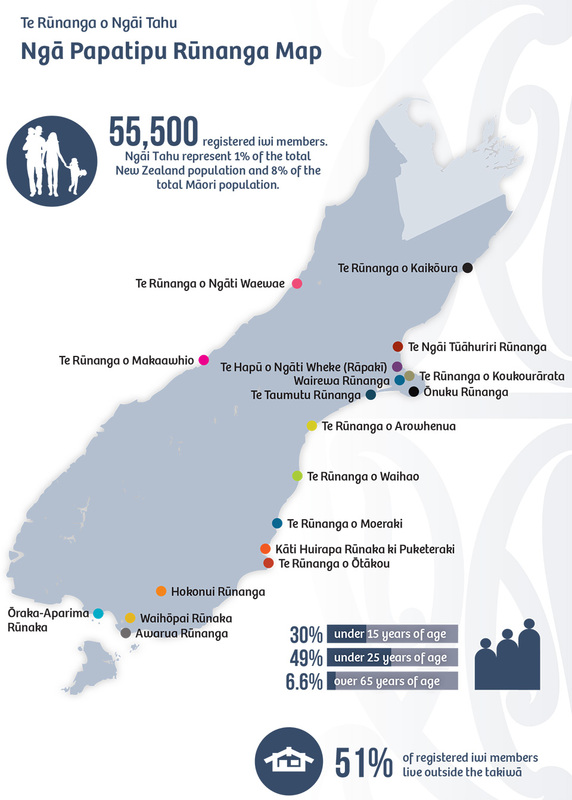 A large proportion of our iwi members are under the age of 24, so it is also important that we complement traditional methods of engagement with innovative ways to connect our people so they are be er able to participate in iwi activities. 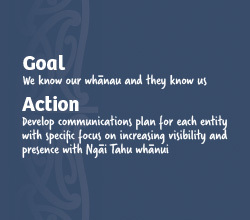 With over 780 kaimahi (plus an additional 200+ seasonal workers) across six entities spread across Aotearoa, it is important that we have effective internal communication across our organisation. We need to create more opportunities for collaboration and sharing knowledge and our experiences to build on our collective strength, and to ensure staff are informed about Group activities. Within Ngāi Tahu a common question you will be asked upon meeting someone is “Nō hea koe? Where are you from?” and “ko wai ō mātua? Who are your parents?” It is an attempt to make a connection, to find a link, to build a relationship. Whanaungatanga recognises that in any endeavour, it is our relationships with others and with ourselves that are the key to that activity succeeding and implores us to develop and maintain meaningful positive relationships. Although people communicate today through a wide range of channels – print, radio, email, telephone, the Internet, through websites, Facebook and Twitter – kanohi ki te kanohi, the ability to meet face-to-face remains the preferred way of connecting for whānau. Hui-ā-Iwi, a three-day celebration of Ngāi Tahutanga, and the annual series of Ngāi Tahu Road Shows exemplify this type of engagement to encourage whānau to participate in tribal a airs. In recent years we have changed these hui to respond to the needs of whānau, such as extending the Road Shows from a 3-hour presentation to a day-long wānanga. 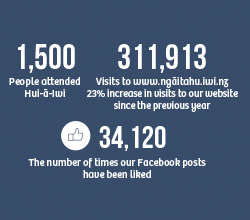 Feedback has shown that the most important aspect of these hui has been whanaungatanga. Whānau want opportunities to connect with each other, meet tribal leaders, embrace their culture, learn whakapapa, sing waiata and celebrate being Ngāi Tahu. Geographic distance, the pace of life and the cost of doing things dictates that communication continues to rely heavily on technology. We value the richness that comes from bringing whānau together and we are looking to create more of these opportunities.